When you hear the word “healthy” what comes to mind? Some may see an athlete or a wholesome meal, others may see a certain body type. 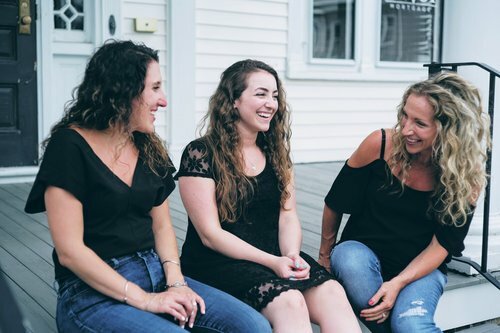 Throughout the years, society and the media have portrayed to some that skinny is “healthy.” In all seriousness, can health really be measured by looks? When we take a step back and reflect on what really makes a person healthy, we should be reminded that we cannot determine one's health based on what we see. 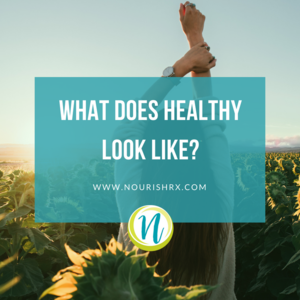 How do you know what healthy is until you actually experience it? Let's stop trying to figure out what health “looks like” and shift our focus to what it feels like. BMI does not equal health. For all of those reading, I am sure you are familiar with the Body Mass Index chart that was introduced to you in your Health and Wellness class back in high school. Body Mass Index (BMI) started out as a way of measuring one's health based on height and weight. In more recent years, researchers have argued that this is not an accurate way to measure body weight, let alone health in general. The problem is BMI can’t distinguish between bone, muscle and fat. This could lead to the misconception that an active person with a higher percent of lean body mass is obese. Absurd! Just like thin does not equal fit. Bairy Merz is a cardiologist who did a study that found that “women who were routinely physically active and overweight were less likely to suffer heart problems than their normal weight counterparts who didn't exercise.” This research proves that it is possible to look ‘healthy’ while leading an unhealthy lifestyle, and vice versa. This justifies the fact that health truly does come in all different shapes and sizes. My old nutrition professor compared body type to dog breeds (sounds silly but stay with me). All dogs come in different breeds just like all humans come in a diverse range of different shapes sizes. A lab has a bigger frame compared to a poodle, just like one person may have a build that is different from someone else's. Healthy is so much more than what’s on the surface. It's more than a number on the scale- There is no specific weight, rule or guideline to being healthy. It’s a lifestyle - making choices that serve you and make you feel good. It’s about being kind to your body. It’s about letting yourself indulge sometimes. It’s a feeling- Healthy is feeling positive, content and confident with the body you have. Rather than focusing on the physical aspects of health, focus on the choices you make that are catalysts to how you feel about yourself. There is no fixed idea of what healthy looks like; redefine what it means to you and how it feels.